Double sided, 20” x 30” aluminium panel for vinyl or printed graphics. 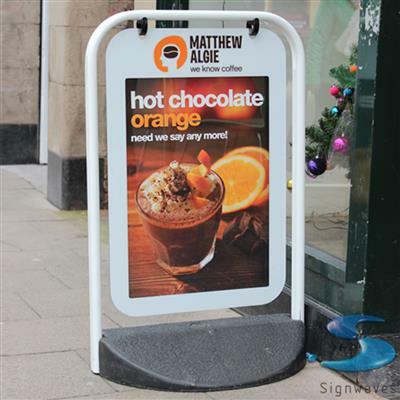 •Top opening polycarbonate double sided 20” x 30” poster display with magnetic seals. •Stylish oval steel tube frame (50 x 25mm). •Black water-fillable polyethylene bases for optimum stability. •Built in wheels for ease of movement.